Spring has arrived in California! If you are like the rest of us here at Green Thumb Nursery, your thoughts turn to your garden. We’ve pulled together some ideas that you can use to infuse both charm and personality into your garden. Our ideas range from the simple to the more complex so there’s sure to be something that you can use in your own garden this year! For simplicity’s sake, you can’t beat decorative stakes. Durable, diverse and full of personality, decorative stakes are versatile enough so you can change them out whenever the urge strikes your fancy or make them an anchoring theme that connects its different elements. From the whimsical to the realistic — and every design in between — decorative stakes instantly add life to a garden. Closely related in some ways to decorative stakes, flags have gained popularity in recent years as a method welcoming an approaching season or holiday. Bright, cheerful and often gently swaying in the wind, flags come in many different sizes and shapes. If your garden seems to be craving some old-world charm in a tiny and whimsical body, chances are that a garden gnome will be the perfect addition to your garden. With a multitude of welcoming expressions on their friendly faces and noteworthy for their signature hats, garden gnomes are often available in different sizes. The gentle breezes of spring are perfectly captured by the pleasant musical interludes afforded by wind chimes. 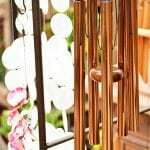 With many different configurations and materials, so you can more easily find the one that sounds the best to you, wind chimes are as fun to watch as they are to listen to. 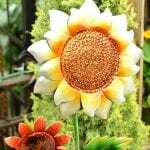 Just as wind chimes add pleasant sounds to your garden — as noted above — solar art infuses the space with intricately designed motifs, nature-inspired colors and unexpected splashes of light. Best of all, there are no batteries required for you to enjoy the beauty of your chosen piece of solar art. Instead, you simply have to rely on the radiance of the California sun to charge up the solar panels. Just like inside your home, choosing the right accessories in your garden will give it a sleek and modern look. With curving and spare lines that allow your chosen flowers and other foliage to take center stage, modern living decor fits in perfectly with the California lifestyle as well. Do you love the beach and wish you could bring some of it home with you? Is your home near the beach and you want to make it an extension of your favorite place? The beach decor at Green Thumb Nursery allows you to easily add memories of walking along the sandy shore as you watch the waves unfurl gently. Maybe other gardeners might consider mushrooms to be a nuisance crop that has to be removed but you won’t think so — not after seeing our beautiful mushroom decor. 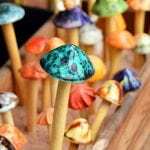 Sturdy, colorful and unique, choose a few pieces of mushroom decor to place strategically around your garden or buy a whole handful and create your very own mushroom garden. Up until now, we’ve been talking about garden decor that is pretty portable. If you want to move around your solar art, for example, you can do so without issue. You can also change the flags or decorative stakes to reflect your moods. With statuary, the design of your garden is more likely to contain both permanent objects and those that are temporary. 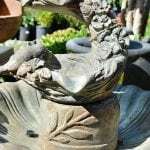 Choosing the right kind of statuary can add to the feeling of your garden as a place of peace, relaxation and hope. Nothing says “welcome to my garden” like a gorgeous arbor. Adding an arbor to your garden instantly elevates it from a half-hearted attempt to grow something to a project of great importance and beauty. Adding a fountain to your garden gives those who visit it another way to enjoy its pleasures. The gentle trickle of water down the fountain can be as elaborate or simple as you desire. You’ll find that we have a range of different options for fountains at our Green Thumb Nursery locations. If you’re one of the many California gardeners who plant specific flowers to attract the wildlife, the addition of a bird bath will help them feel right at home. The addition of a bird bath gives your feathered visitors a one-stop shop where they can eat and bathe. Another welcoming feature that takes your garden to the next level is a bench. From the simple to the intricately carved, permanently adding a bench to your garden invites you to sit down and relax so you can more easily enjoy the wonderful sights, sounds and smells that await you. Once only thought of as a practical means of training your flowers and vines to grow where you want them to, a trellis can also be an integral part of your garden. With different colors and styles available, including a trellis adds a depth to your garden by allowing you to grow species in the space between the ground and your eye level. A trellis also helps you make good use of your garden space — especially if that space is more limited than you’d like. 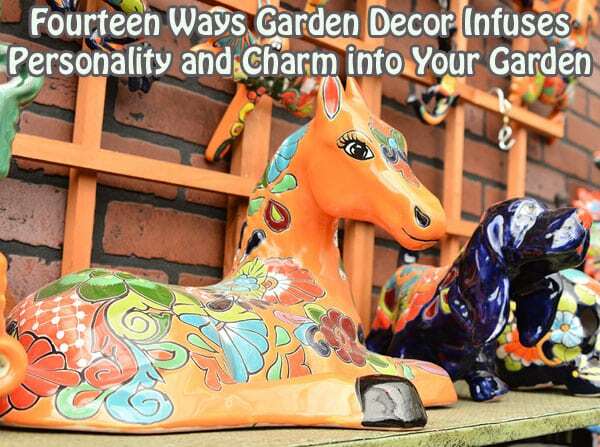 At Green Thumb Nursery, we invite you to visit one of our five locations in Southern California to discover the unique and beautiful garden decor that you can use to make your garden reflect your personality. Visit us in Ventura, Canoga Park, San Marcos, Santa Clarita or Lake Forest and tap into the knowledge and skill of our staff to help you find exactly what you’re looking for!